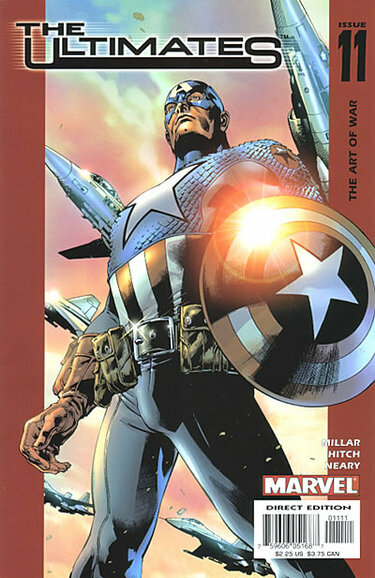 Upon yesterday’s unveiling of the new Captain America’s costume, I remarked that most of the great iconic superhero costumes belong to DC. 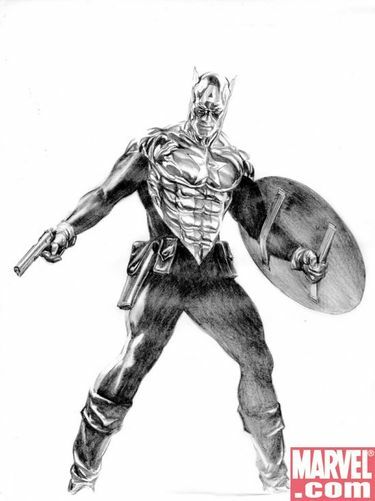 While Marvel has lots of great characters, few of them display the same design flair found in DC characters like Superman, Batman, Hawkman, The Flash, or Green Lantern. Primary colors, chest symbols. These are the staples of superhero costume design. None of the X-Men, in my opinion, have this sort of classic image. Spider-Man does, The Incredible Hulk, with his bare chest and purple pants does, and Captain America does. 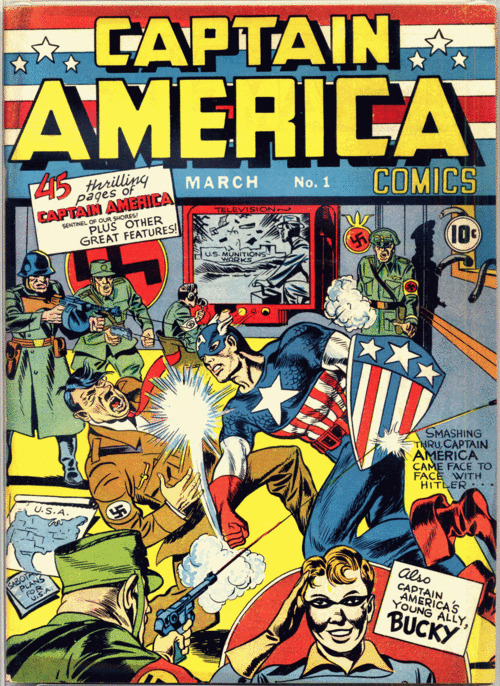 Designed by Jack Kirby and Joe Simon in 1941, Captain America’s look has remained virtually unchanged ever since (though Steve Rogers has at times worn other costumes). 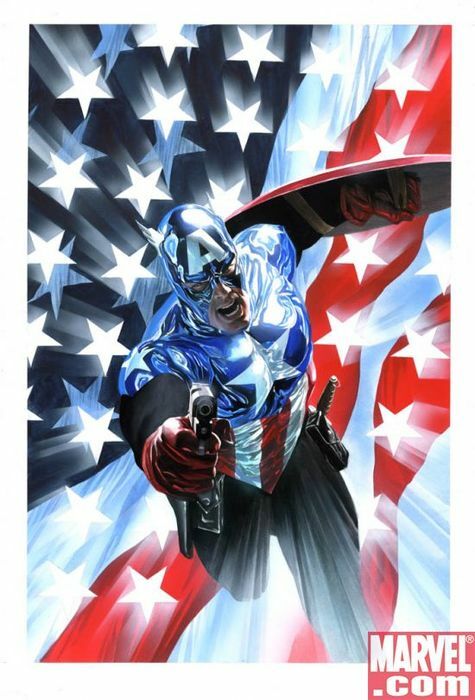 The stars and stripes perfectly capture who he is. 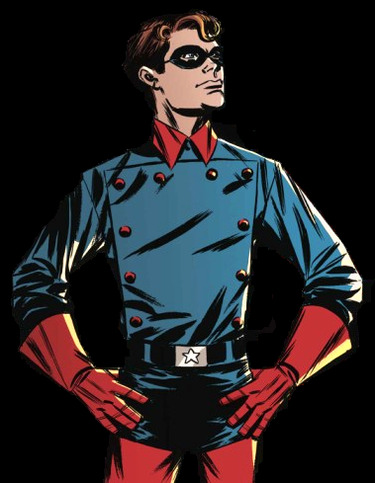 The stripe directly below the center star on Captain Ameica’s [sic] costume is red. 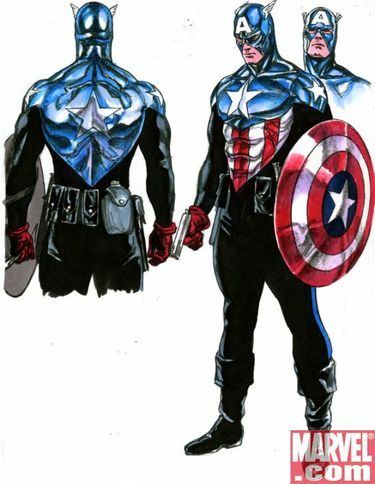 This was the way Cap’s costume was approached for the longest time–though, again, certain artists in recent years have done it differently. 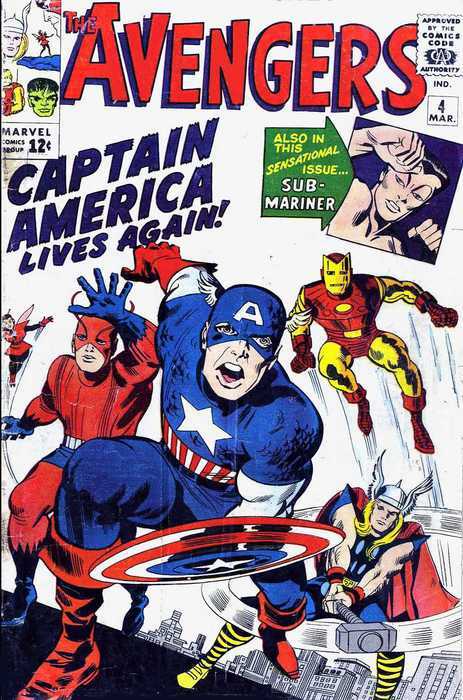 Similarly, Captain America was the one Marvel character who possessed a cleft chin. 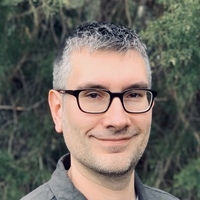 Cassaday breaks that rule above. 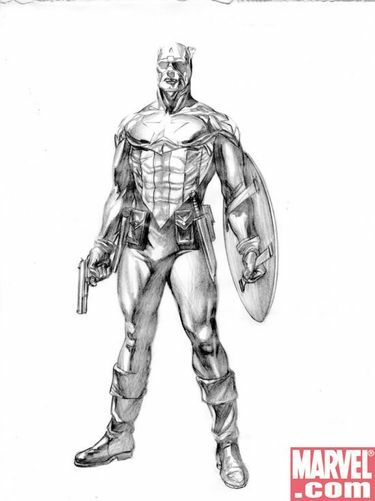 Ultimate Cap is sometimes drawn wearing olive drab pants instead of his combat uniform. It’s actually a pretty good design, but it feels like pulling on the Lone Ranger’s mask, the original Kirby/Simon costume being so perfect. The bright top set against the dark bottom is a striking contrast, but could end up looking top-heavy. We’ll have to see how it looks in the book to really be able to tell. 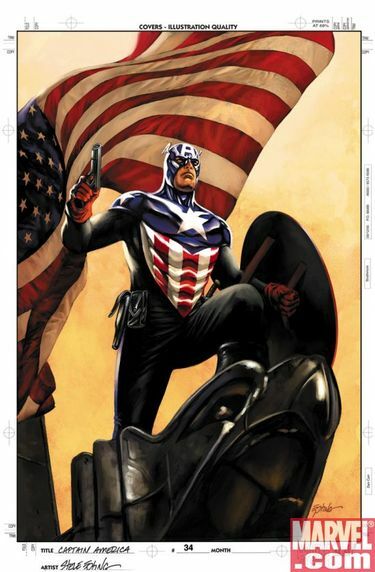 I do like the visual of this new Cap with a pistol in one hand and a shield in the other. 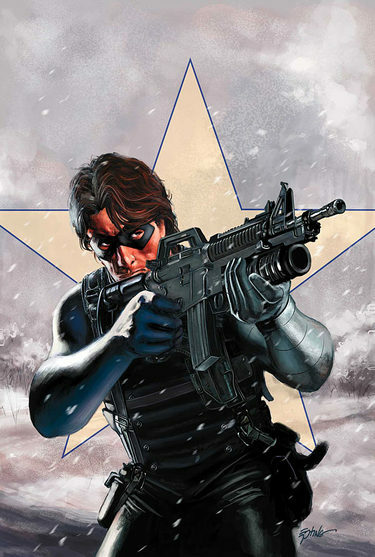 There’s some stuff from Brubaker and Ross in the above-linked article on Marvel.com, and Newsarama has posted an interview as well. I absolutely love Cheung’s design. 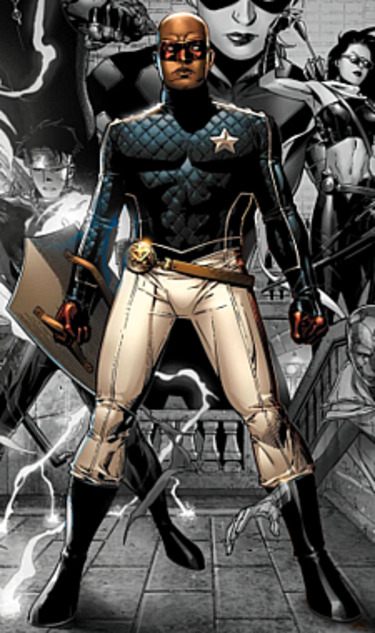 Patriot’s costume invokes some of Bucky’s image, namely the jacket and domino mask, but has an embossed diamond pattern that recalls the chainmail on Captain America’s uniform. 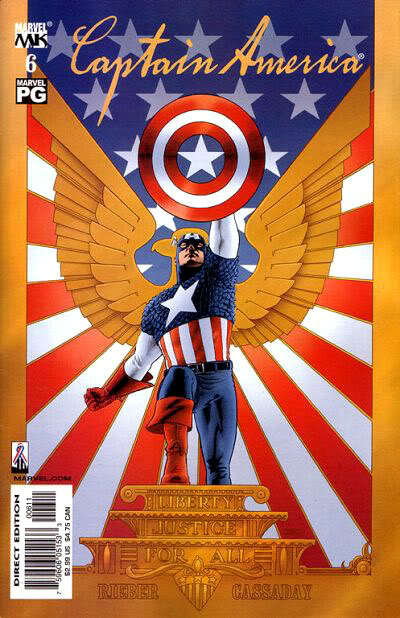 Patriot carries Captain America’s original shield, and also uses throwing stars. Sadly writer Allan Heinberg has been too busy with his day job writing television to do another run on Young Avengers.